The rising demand of healthcare services paired with restricted supply of healthcare solutions has resulted in governments across the region implementing new technologies, systems of care, and considering further partnerships with international healthcare providers. The Middle East healthcare services market has experienced considerable progress over the years due to favorable demographic and economic factors driven by aging populations, chronic/lifestyle diseases, emerging-market expansion, and treatment and technology advances. Soltius understands the complexities involved with running a healthcare institution, balancing both profitability on one side and best patient quality care on the other. 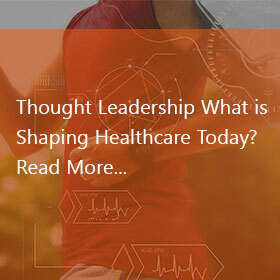 Soltius is the leader in SAP for Healthcare in the Middle East. The organization has a dedicated consulting team based in the Middle East with ISH and ISH Med experience, supported by worldwide network of resources. Soltius has excellent relationships locally and worldwide with SAP Industry Business Unit for Healthcare. SAP for healthcare provides a holistic, modular, flexible hospital information system which has benefited over 2300 healthcare organizations globally. Soltius Middle East has, through its engagements in the Middle East, taken this solution and enhanced it specifically for the Middle East requirements. Our Solution includes all aspects of SAP ISH and ISH*Med solution and includes the Soltius Innovations. With YASH and Soltius’ deep understanding of the healthcare industry and time-to-market needs, we focus on operational efficiencies, risk reduction, and customer service to provide incremental and cost-effective solutions. Soltius is a chosen partner of many healthcare organizations because we improve their technical structure to support and adapt to constant change, provide value-added tools that help manage hospitals as enterprises, and enhance decision support systems.